I am 27 years old and I have suffered from acne since I was about 14. It wasn't too bad in my younger years but once I got pregnant with my son and even after I had him it has been horrible. Normally it gets really bad around the time of my period. I really don't know what to do anymore. I decided to try the acne.org regimen I haven't bought the products from the site I bought some recommended ones from target I will probably purchase the products on here soon though. I have been on minocycline and birth control pills. both of which helped for awhile. I have also had a few diffrent topical prescriptions. The last time I was at the derm which was awhile ago she prescribed me minocycline and 2 different topicals. When I went back a month later she said that there was improvement but she would have liked to have seen more improvement and that accutane is the only thing that can help me that nothing else will. I said ok and decided to take it but once I got home and read everything I changed my mind. Do you guys think accutane is the only thing that can help me? I have included some pictures. I have also tried everything from clean and clear to proactive to the stuff at the derms office. Someone please help me I am tired of looking like this. ^^^Please help. Do you guys think the regimen on this site will help me? Or is accutane my only hope? I would definitely try the Regimen first and follow it exacty. If you can, try to save Accutane as a last resort. You might not need it. Honestly do the accutane. 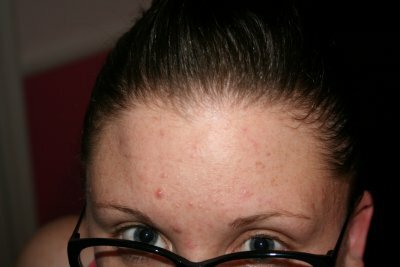 I have been dealing with acne since 11 years old, and I wish I had taken accutane in high school. It would have saved me more pain and anguish later and maybe would have kept me from scarring. I am not sure it was as readily available. If you wait, and then get scars, and then take accutane it might make your scars look worse like it did to me. Now I don't break out too badly but I have awful scarring. I was scared too so I asked for the lowest dosage possible and then moved up when I realized I was not having bad side effects. I just looked at your pics closely and I think if you want to do accutane now is a good time. 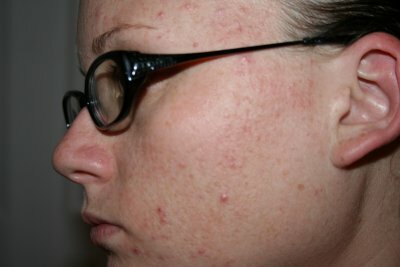 Try the regimen first if you want to feel better about it but in my opinion, with my experiences and my friend's experiences, accutane was the only thing that really did anything worthwhile. Thank you for the advice. I just really am not too happy about taking accutane and am not 100% sure that I want to take it. I don't want to have the side effects and I know that I will probably fine taking it. I just need to be 100% that it is what I want to do before I jump in. I also think that my acne is hormonal. My period just ended so what is in those pictures is what is lingering from that. In about 2 weeks I will be clear for a week and then the whole thing will start over again. 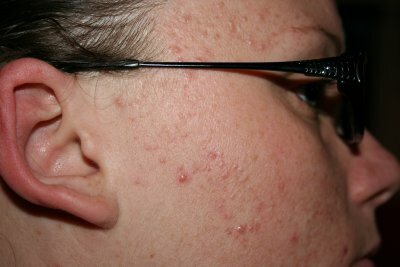 Will accutane help with the hormonal acne?